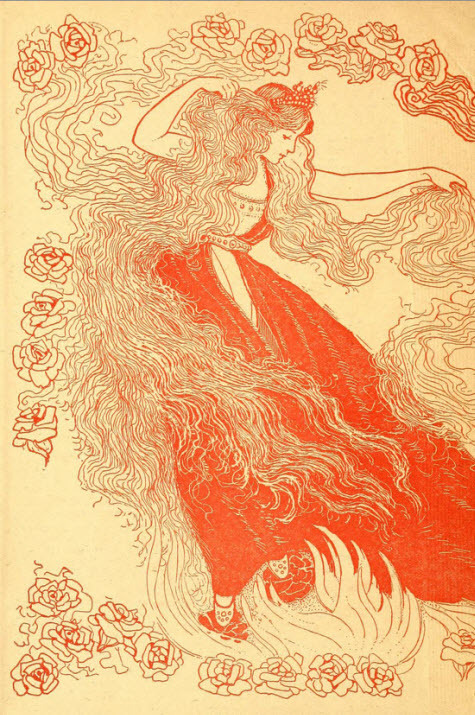 Lilith is an allegorical novel by George MacDonald dealing with life, death and redemption. The book is approximately 95,000 words in length and was first published in 1895. The book takes its name from the apocryphal legend that Adam's first wife was Lilith, a woman created at the same time as Adam from mud, and not from his rib. According to legend, Lilith refused to submit to Adam, and was banished from the Garden of Eden, wandering the earth as an immortal. In many middle eastern mythologies, Lilith is depicted as a child killing witch or demoness. More recently, Lilith has been identified as a succubus, a demon enchantress preying on men. In recent years, Lilith has been adopted as a symbol of female empowerment, and a counterpoint to the subservient Eve. 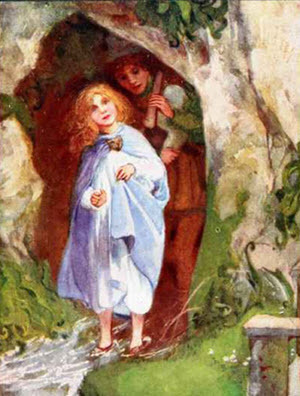 MacDonald uses the character of Lilith to expound his beliefs on universal salvation, the belief that eventually all sinners will be reconciled with God. 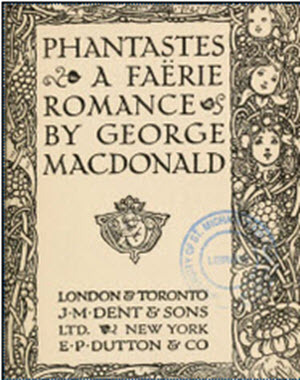 Lilith is one of MacDonald's darkest novels as well as his most profound. The main protagonist of the novel, Mr. Vane (in an obvious allegorical allusion to his character) has inherited a house with a large old library from his father. He soon discovers that the library appears to be haunted by the ghost of the former librarian, who appears as a raven and sometimes a wraith. Mr. Vane follows the ghost through a mirror into a world of "seven dimensions", which is an obscure reference to the theological teachings of Jacob Boehme. The world that Vane enters appears to be an entry way into the after life, and what happens to its residents depends on the choices that they make. They can either sleep and be purified of their sins, or they will be forced to battle monsters, or become monsters themselves. Mr. Vane discovers that his grandfather has entered the realm and has refused to sleep so he is forced to battle skeletons in this afterlife, until presumably he decides to join the other sleepers. The sleepers are housed in a House of Sleep where they sleep an eternal rest of peace an innocence. Vane has many adventures, traveling through a deep dark valley (perhaps an allusion to the Valley of Death in the Christian Psalms). On his journey he discovers a group of children, the Little Ones, who never grow up but instead only grow bigger and dumber, until they turn into bad Giants, or Bags as he calls them. Vane tries to help them by leading them out of the valley, but his wraith companion tells him that he cannot help them unless he himself sleeps. His guide reveals himself to actually be Adam, the first man. Vane meets his wife Eve, the mother of mankind. They are in conflict with Lilith, Adam's first wife who rebelled against him and now haunts these regions. Vane is nearly seduced by Lilith's false beauty but eventually leads a group of Little Ones in battle against her. Lona, whom Vane loves, is killed by Lilith. 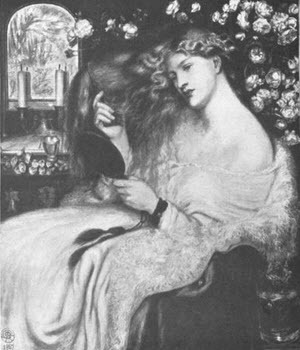 It is revealed that Lona is the daughter of Lilith, which according to legend is a destroyer of children, out of jealousy for Adam's offspring. Lilith is captured and brought to the House of Death. 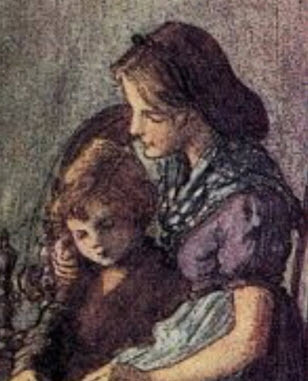 She holds in her hand a source of magical water that the Little Ones need to grow,. As she will not give it up the hand is cut off and Vane buries it in the ground, whereupon water floods out of a fountain and washes he valley clean. The Little Ones are now asleep, and Vane is allowed to join them as well, finding true life in death. Critical assessment of Lilith has been mixed, some praising it as a great original, with an unobtrusive parable, and flashes of fine imagery and verbal flashes. Others have described it as over laden with Victorian Christian messages, and delivering a very unpalatable message. SOMEWHERE, and the other out of space, or NOWHERE?" CHAPTER XLVII. THE "ENDLESS ENDING"